Detached home. 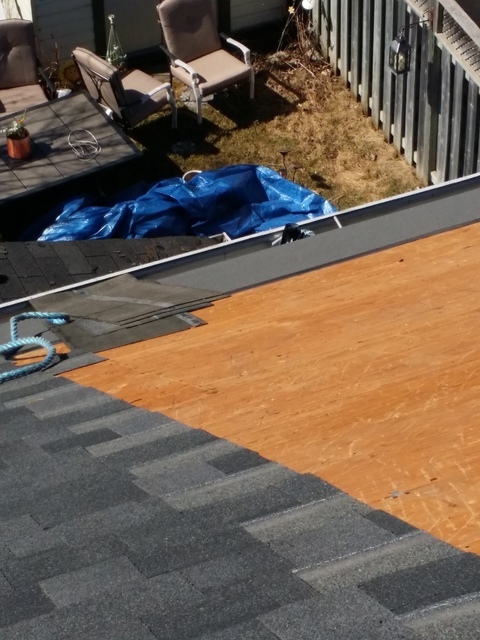 Roof replaced on back deck as well. Kingdom Roofing Ltd was working on a duplex and replaced the whole roof. I saw what a great job they did on the roof, during the work and saw they cleaned up nicely! We got a quote in the late fall and easluly set up an appointment in the spring. they were st up and ready to go at 7 am as discussed. Tarps down in the front yard, side of the house and backyard. They helped us with our leaky skylight and removed it for us, boarded it and finished the roof. Thank you kingdom roofing Ltd for an amazing job! 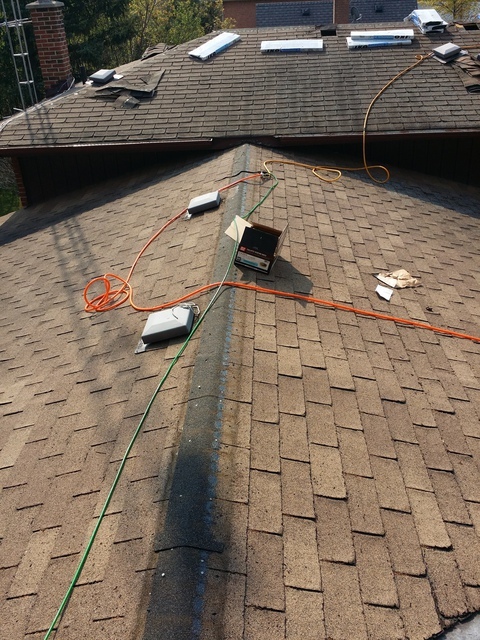 Aesthetically Looking roof, and a great clean up job afterwards. It was a pleasure to have you work on our home! We highly recommended! The most important investment that you make is your home and roofing is what protects it. Don't compromise when it comes to roofing and go with the experts. 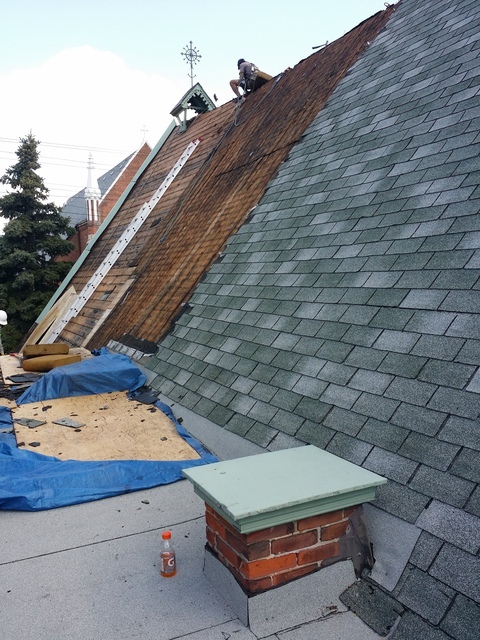 I had many roofing companies provide me quote and assessment for the complete replacement of my roof. Elkin was the only one who I felt was absolutely professional in all his dealings. His rating on HomeStars of 10/10 definitely goes with the actualy delivery of what he promised. He kept us informed throughout the process. His team was equally professional as well. They cleaned everything after them. They did the complete job of roofing in one day in late Oct 2018. They showed up quarter to 7 and started exactly at 7 and were done before 3 pm. They also did install solar vents on my request for slightly extra charge. They were very reasonable but still did not compromise with the quality at all. I highly recommend Elkin and his team for any of the roofing requirements. Hi Aman. thank you very much for your review, we just try to do the best installation for our costumers. Elkin and his team did an excellent job. They came early to get set up and started right on time. The crew put out tarps and boards to protect the grass and garden from debris and ensured that no garbage got into the pool. They worked quickly but not rushed and did a great job finishing up. They also installed a solar tunnel at the same time. The final action was to go around and pick up all the debris and garbage, blew off the deck , table and pool deck of the granuals from the old shingles. Thank you for taking such great care. It is truly appreciated. Would highly recommend this company. Hi Greg, Thank you very much. Elkin was very knowledgeable explaining options, warranty and roof system they would provide. The crew was professional and courteous. The roof system was installed exactly as Elkin described. I know i will not have any leaks for as long as I am in this house. Would recommend Kingdom it was a great experience from start to finish! Hi Bob. thank you for the business. This was a great experience from start to finish the team was very professional and curtious. They did a great job and cleaned up very well. I will definitely recommend this company to my friends. Satisfied with Elkin's professional knowledge and explanation of the work to be done prior to installation. 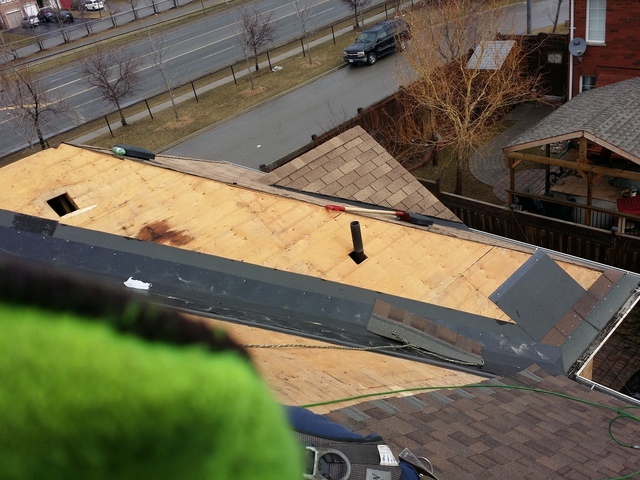 On installation day, he arrived with his team on time (prior to scheduled time) and the roof was replaced with new shingles. I am satisfied with the work done and clean up afterwards. He answered every question I had prior, during and after installation. I was not referred to him but I searched on the internet for a contractor that has good review, proximity wise and his word; and my homework respecting materials and how the work should be done, we decided to go with his company. His price was reasonable too. I can't say enough about Elkin and his company. From the initial quote to the installation day he was always very professional and took the time to answer all my questions and concerns. Price was very reasonable compared to other offers. His crew was exceptional showing up on time completing the entire job in one day. My yard was protected and site cleaned up the way they found it. They even walk around with a large magnet ensuring no nails were left behind. Elkin also replaced two down spouts that had cracked from previous winters free of charge. I strongly recommend using Kingdom Roofing for any roofing needs. You will not be disappointed. Hi Adam. wow... thank you very much. His crew of 5 + himself making 6 all arrived on-time. 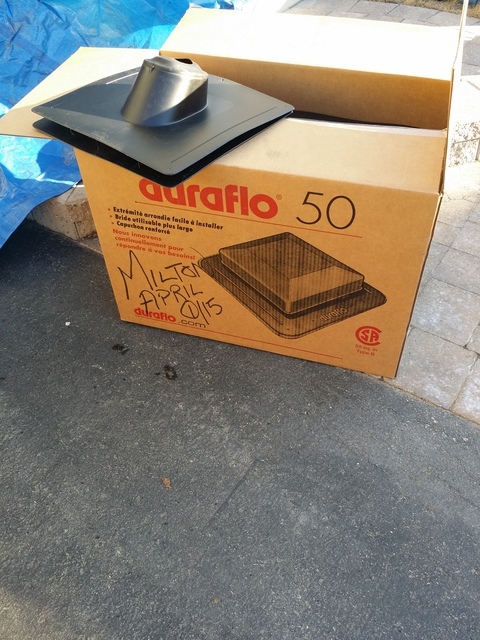 They set up tarps all around the house and took care in ensuring my property was protected during the removal of the old shingles. His crew was very good, they work together VERY well and know what to do – you can tell they have been together for a while. Elkin (who was onsite both days) and his crew took two days to finish both me and my neighbors semi-detached home and I couldn’t be happier. Hopefully he’s still doing this in 25 years when I’ll probably need new shingles again. Had Elkin come for a estimate for a new roof. 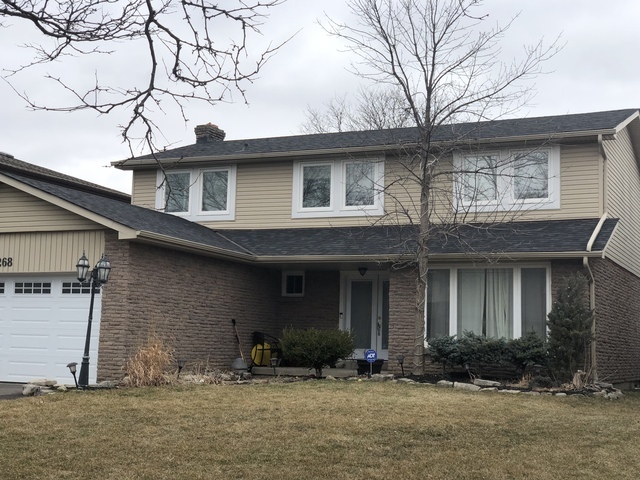 Provided great customer service, was very knowledgable about the products and went into detail with all that would be installed for the roof replacement. Had also 3 other companies come out, felt the most comfortable with Elkin and he was the only one that would go into detail about the products. Set up a date for installation. Got a call a couple days prior to the install to confirm. Elkins and his crew came on the day. The crew were very professional and the work was done to satisfaction. The area was cleaned up by the crew and left tidy. I would recommend Kingdom Roofing. 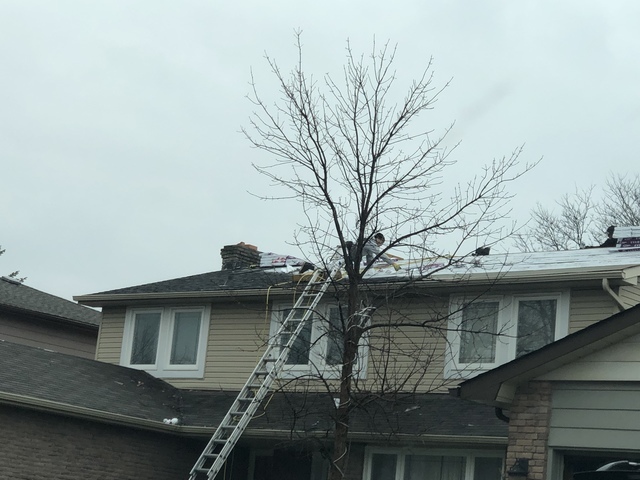 Having just purchased a home in Milton I needed a new roof asap. I noticed Kingdom Roofing signs on all my neighbors lawns. After a quick call Elkin was on site within hours. He is genuine and polite and was willing to work with the time line of some other renovations being completed. After seeing how the team works and the quality of the work done. I wholeheartedly recommend you go straight to Milton's best and call Kingdom. Hi Ryan. Thank you very much. Serving GTA since 2002 with a thousands satisfied costumer. We are serving commercial and residential roof needs. We follow the standard Building codes. Kingdom Roofing Limited began back in 2002. Initially known as EATO Roofing Services, Kingdom Roofing Limited received its new name due to customers' reviews suggesting Elkin and his team provided royal customer service: highly professional, punctual and responsible. 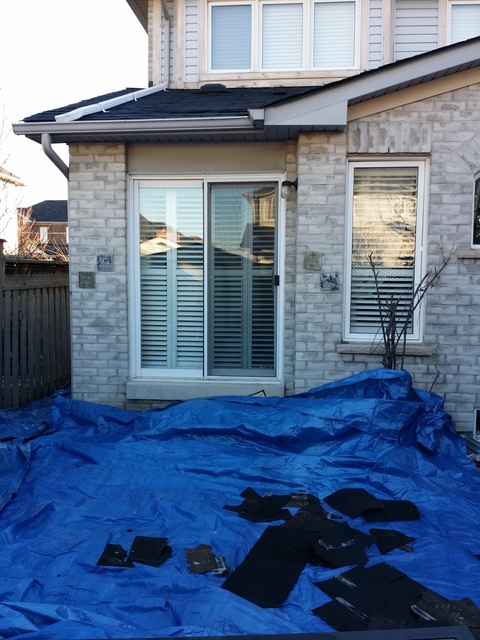 Elkin gained several years of experience working as a subcontractor with a large roofing company in Mississauga. His passion for the trade, impicable workmanship and professional attitude gave him credibility in the roofing services. Today Kingdom Roofing Limited represents the professionalism, integrity and work ethic that Elkin and his team have towards the company and their customers. Behind Kingdom Roofing Limited there is a team of expert roofers available 24 hours a day to install, repair or maintenance your roof. Kingdom Roofing Limited provides the highest quality workmanship, using top quality materials at affordable prices. What do you get from working with Kingdom Roofing Limited? A mess free home or business. 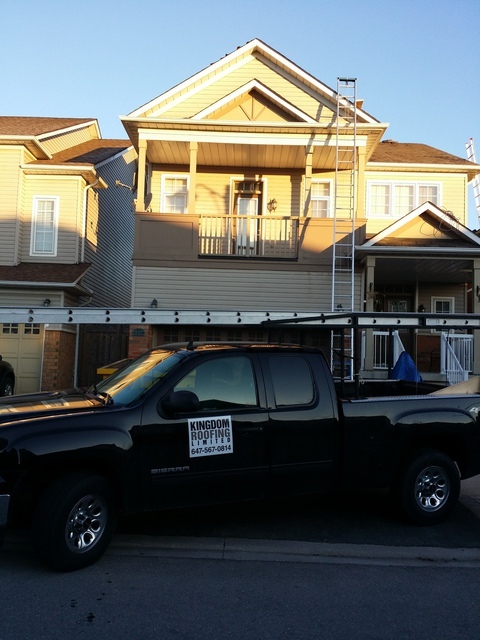 We clean the job site and make sure you are satisfied with the end result.